I thought this might be rare since it’s no longer standing and was taken the first year of its construction. Measures 8x22 inches, stained, worn looking. Dry mounted on foamboard. 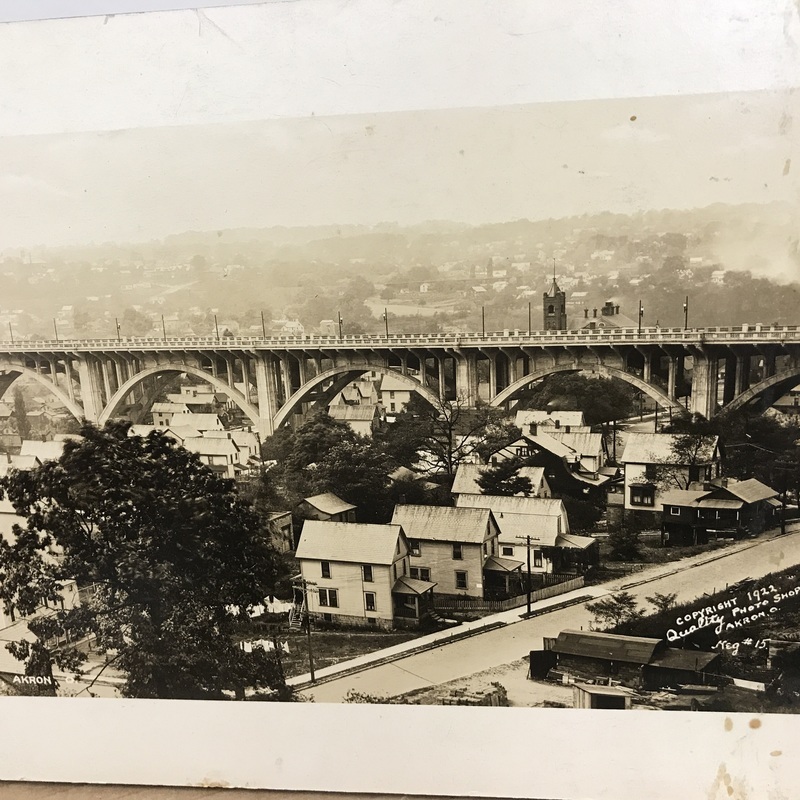 This is a vintage, early 20th century, dated black and white reproduced and mounted photograph from 1922 of the North Hill Viaduct in Akron, Ohio. The panoramic view of the viaduct is seen from an elevated perspective. The images were likely commissioned by the engineering firm of Harrington, Howard & Ash, who designed the viaduct and to be used for client marketing. The estimate is based on actual recent past recorded auction sales of comparables. Retail 'asking prices' can be higher and vary. This would sell best regionally.